This course teaches Adult, Child, and Infant CPR and AED use as encountered in a healthcare setting. As well as use of the use of the AED. Upon completion of this course student will be able to provide emergent care for adult child and infant victims with and without advanced airways, and foreign airway obstructions. 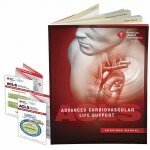 As well as recognize signs and symptoms for heart attack, stroke. And other cardiovascular problems common to health care providers. Nurses, Nursing Students, Physicians, Dental professionals, PA's, Paramedics, Respiratory therapists, Medical assistants, life guards, and other healthcare providers who are required to respond to a cardiac arrest in a healthcare environment. 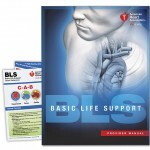 The ACLS Provider course provides the knowledge and skills needed to evaluate and manage cardiac arrest, stable and unstable cardiac rhythms, acute coronary syndrome, airway management and stroke of an adult. This course is designed for emergency department staff, intensive care units, or critical care departments, physicians, nurses, emergency techs, paramedics, respiratory therapists, and other professionals who may respond to a cardiovascular emergency. 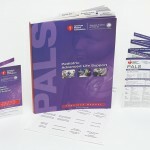 The goal of the PALS course is to aid the pediatric healthcare provider in developing the knowledge and skills necessary to pediatric healthcare providers in developing the knowledge and skills necessary to efficiently and effectively manage critically ill infants and children, resulting in improved outcomes. 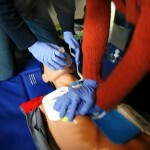 Skills taught include recognition and treatment of infants and children at risk for cardiopulmonary arrest; the systematic approach to pediatric assessment, effective respiratory management; defibrillation and synchronized cardioversion; intraosseous access and fluid bolus administration; and effective resuscitation team dynamics.therapists, and other professionals who may respond to a cardiovascular emergency. The part 2 & 3 skills sessions are for individuals who have completed the Part 1 of the corresponding online course. Demonstration and practice of venipuncture procedures; intraosseous access and fluid bolus administration; and effective resuscitation team dynamics.therapists, and other professionals who may respond to a cardiovascular emergency. Nurses, Nursing Students, Physicians, Dental professionals, PA's, Paramedics, Respiratory therapists, Medical assistants, life guards, and other healthcare providers who are required to provide patient care in a healthcare environment.